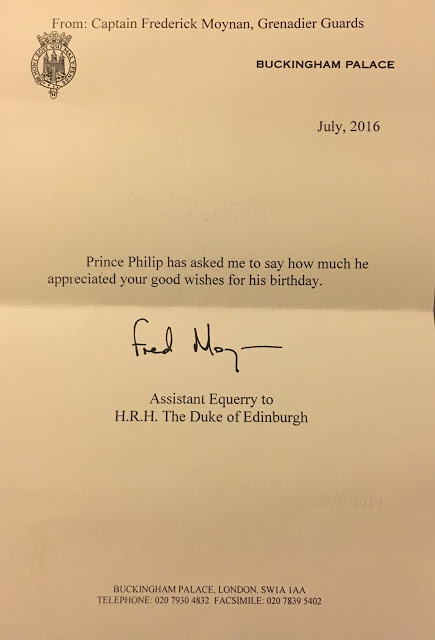 Back in June I wrote to the Duke of Edinburgh to extend my best wishes for his 95th birthday. Today, after 4 hours on the road I came home to a piece of Royal Mail. It was a reply sent on behalf of the Duke of Edinburgh. 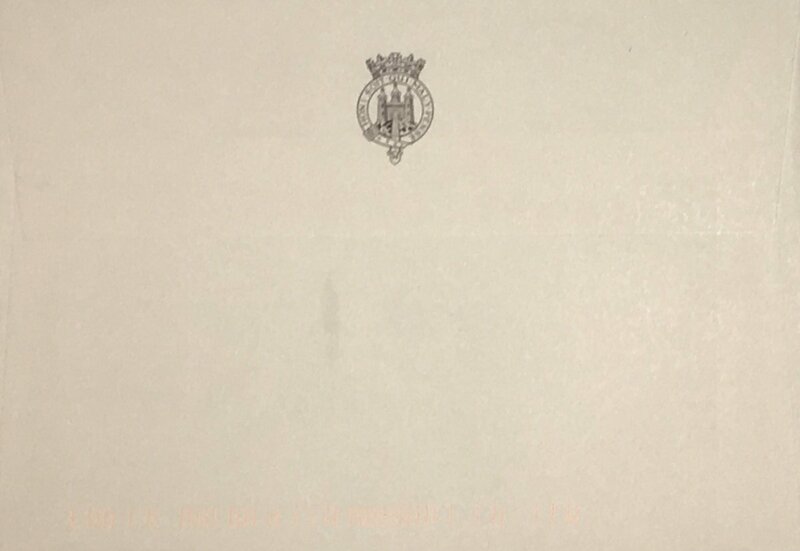 The envelope and stationary feature the Duke of Edinburgh’s Royal Naval Plate rather than a crest or monogram. I am not sure why this is the case, but anyone who knows anything about Philip will surely know of his strong ties to the Royal Navy so I suspect that is the reason. 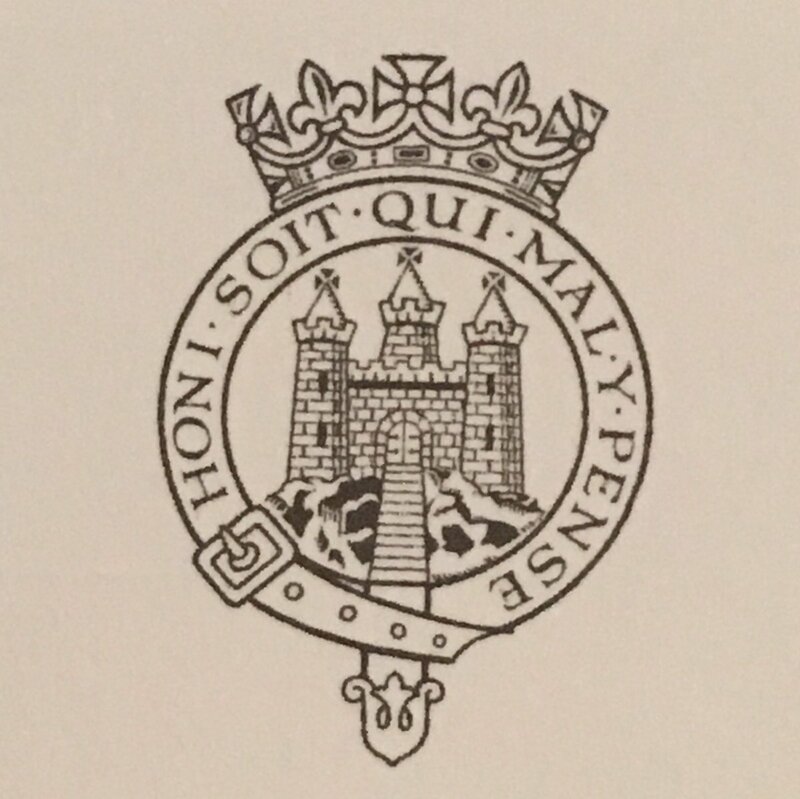 Te letter is very simple and straightforward, it is signed by the Duke’s Assistant Equerry. I am glad to have this to add to my collection.